Digital Forsyth | Fisheye lens view of the spectators and symphony at the Music at Sunset concert at Graylyn Estate, 1973. Home › Photos › Fisheye lens view of the spectators and symphony at the Music at Sunset concert at Graylyn Estate, 1973. 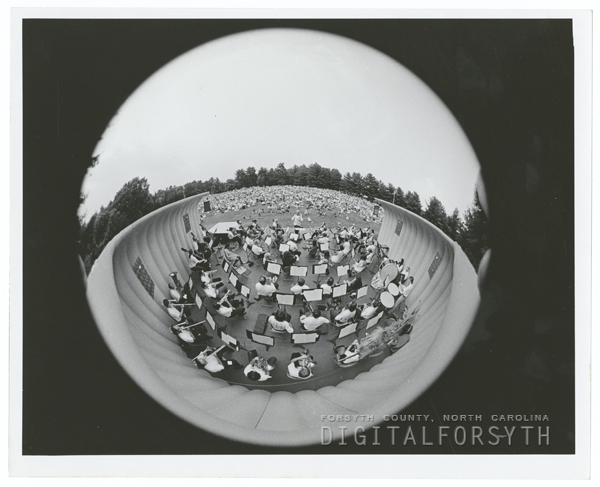 Fisheye lens view of the spectators and Winston-Salem Symphony attending the Music at Sunset concert at Graylyn Estate, 1973. John Iuele is conducting the symphony. wsj 7-14-73 special section p.1.